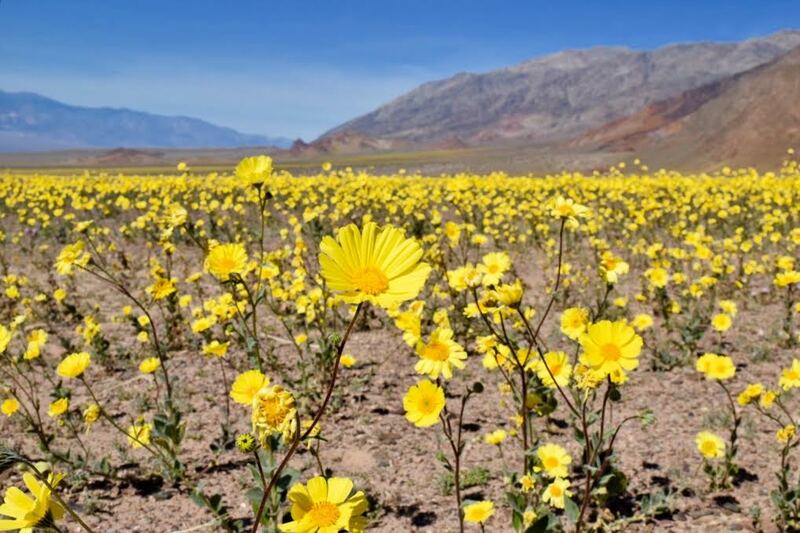 I was so lucky that my spontaneous trip to Death Valley during February 2016 coincided with an incredible phenomenon called a “super bloom.” Because Death Valley is one of the hottest and driest places in the world, very little plant and animal life are able to survive. Due to unprecedented rainfall in October 2015, protective coatings of dormant seeds were washed away, which allowed huge numbers of wildflowers to sprout. This photograph features the most common Death Valley wildflower, the Desert Gold. Other common types included the Notch-leaf Phacelia, Golden Evening Primrose, and the Gravel Ghost. Walking through this vast meadow in the middle of a harsh desert was truly incredible and probably the most beautiful thing I have ever seen. Right place, right time! Just a great composed shot and yellow is the happiest color.